There is a retention event this year in 4th Jan in mumbai. Live on Star Sports. Dhoni Raina and Jadeja are the 3 players that CSK will likely Retain-Which means Ashwin will go back into the Auction and cannot be RTM'ed. Don't be surprised if most teams do not go out and retain 3 players. It is actually costly. Many team would only go for players who are important as brand value to the team and those who cannot be replaced with someone else. 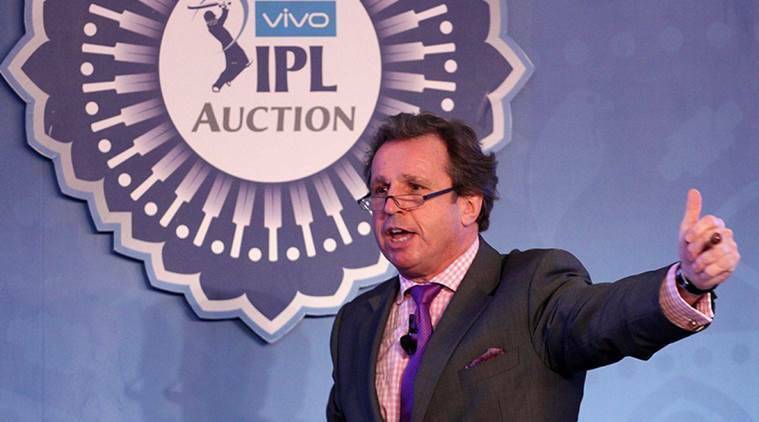 nice article on building the "worlds best t20 side "
The player goes to auction. If the team wants that player back...they can match the last price he was bought at and get him back. Eg. If MI has the RTM ...say krunal. He goes to auction . If DD buys him for 5 crores as final price....MI can decide if they want him back by matching the price and buying him back or if they feel he is not worth the price, they can let DD have him for 5 crores. DD buying Dickvella if he is in auction and the DD team will have De-kock, pant , samson and Dickvella. They should try for ishaan kishan too. They should get Gilcrist as coach. Beating Mumbai in number of keepers? DD is the keeper of all keepers. For KKR, Manish Pandey, Kuldeep, Russell, Lynn and then comes GG. Munro (in the current form) should be asset to anyone and will be in demand during election. Bumrah ko retain karna padega nahin toh bahut mehenga jayega auction main aur hardik ko auction main dalunga. Krunal bhi agar auction me gaya to wo bhi bahut mehga jaayega. 3 crs me man jaye toh? Minimum for the 3rs player is 7Cr if you are retaining 3. Players have the right to refuse retention. He can take the risk. He has not done enough to ask for the sky. arre Krunal ne last 2 seasons me bahut hi zabardast all round performance diya hai aur last season ke final me to tournament winning performance diya hai. auction me Indian AR jo top order me batting kar sake aur acche 4 overs bhi kar le unki bahut maang hoti hai. jab Krunal unknown tha tab wo 2cr me gaya tha aur usne jo last 2 seasons me perform kiya hai uske baad shayad bahut mehga jaaye. Probably yeah but I think he is worth more than 3cr. mujhe ek baat puchni hai. sirf 3 players hi retain karna allowed hai ya 4-5 bhi kar sakte hai? allowed nahi hai aur agar pakde gaye to player aur team dono per strict action ho shayad. Any online broadcasting of the event? Hotstart or Sonylive? Thanks. Great so looks like it will be on hotstar. RCB are retaining Sarfaraz Khan? He doesn't even get played by Kohli. last year full chance tha per wo injured ho gaya tha. ek baat puchni hai, agar koi team 2 capped players retain kare aur 1 uncapped to unki Price Option 2 me aayegi right? According to ESPNcricinfo, these are the names the teams will retain. The BCCI will reveal the list later in the day. Krunal Pandya uncapped hai right? Quinton should be RTM for them. agar ye final nikla to ye sahi nahi hai.